JHB ONLINE HOME: About your webmaster & his other interests! 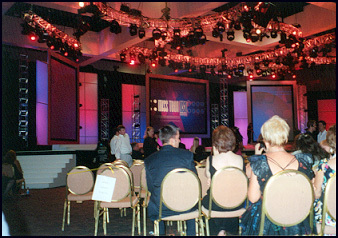 1995 Miss America Finals: Our Exclusive Coverage! ...and the representatives from Nevada, Ashley Phelps; and California, Shannon Byrne! 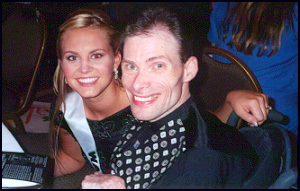 ...and post-show with the delegate from Illinois, Tiffiney Mc Cormick! Thanks & Good Luck, Tami! Best wishes to Oregon's Tami Farrell who proved she earned the crown, and the "Miss Congeniality" award while helping us out of the hotel with our stuff...if only we could have located our camera, there'd be a more casual but no less adorable photo here... Thanks again, Tami! Have an awesome year! 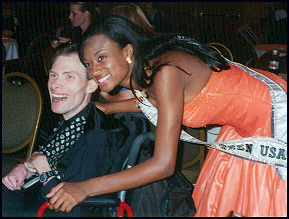 More with Tami (& ME) here! 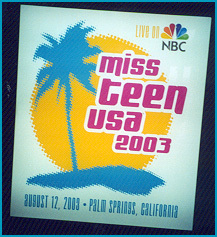 Official Site of Tami Farrell, Miss Teen-USA 2003 NEW!!!! We thank you for the hits we have received here! All material Copyright 2001-03 by John H. Baker, unless otherwise indicated. A reunion of MISS USA 2003 delagates! 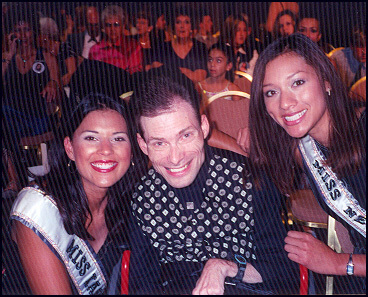 Jessica Perea (Nebraska); Alicia Michioka (Hawaii); Elisa Schleef (Michigan); Nafeesa De Florias (Arizona); Jennifer Ripley(Vermont); and Alicia Cabrera (Kansas). 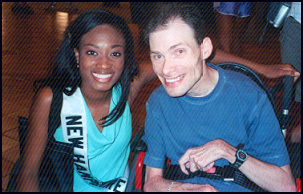 ...and Marshele Lee,Miss New Hampshire-Teen USA 2003! To submit your pageant related web page or site for inclusion on this list PLEASE CLICK HERE to e-mail the Webmaster. Include the name of the page/site, complete URL (web address), contact person's name, a some site background. The JHB Website reserves the right to refuse or delete any submission at any time, and for any reason without notice. Pageants for entrants under the age of 13 need not apply. ** Objections to a specific linked entity may be sent via e-mail as above, and will be investigated. NOTE:The JHB WEBSITE bears no responsibility for the contents of any site or newsletter linked hereon. Nor is inclusion on this list an endorsement of an pageant program. Links provided as a courtesy only.